Qualifications can be added to the system in the System Settings > People Settings > Qualifications. 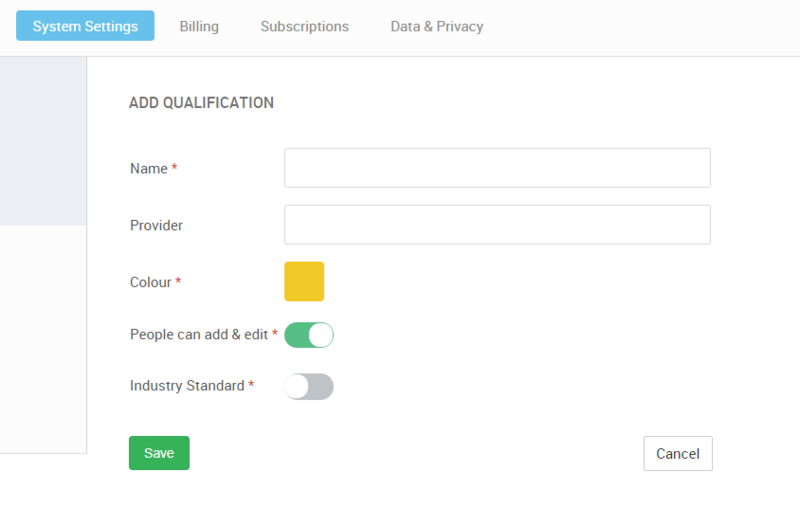 Click on 'Add qualification' to open a dialogue window where you can name the qualification and fill out the relevant information. 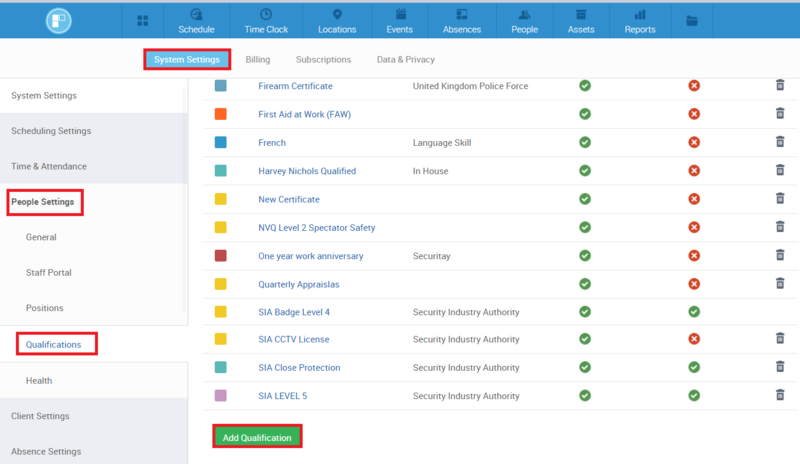 Once you have added the qualifications into the system you can add them to people on their profile in the Expertise section. Read here to find out how!